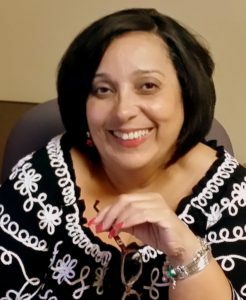 Marilsa Torres Medina (Mari) is the owner of the company, the Document Services Manager, and a Florida Notary Public. Mari brings exceptional experience, skills and work ethic to our business. Mari was introduced to legal work in Connecticut in 1982 and continued working exclusively in this field after her relocation to New York in 1987 and until her move to Florida in 1997. She has devoted the last 30+ years to primarily serving in the legal community. Mari is bilingual in the Spanish and English languages and previously served the State of Connecticut as a Simultaneous Courtroom Interpreter. After many years of employment with attorneys, she was hired as a Family Law Paralegal in 1997 for an Orlando, Florida law firm and moved into the Senior Adoption Paralegal position at the firm from 1999 to 2005. In 2006, she accepted the position of Director of Program Development for an Orlando, Florida adoption agency until 2010. During her tenure as the Director of Program Development, Mari was invited by an adjunct professor at Barry School of Law in Orlando, Florida to lecture on Practical Adoption Procedures and Processing to law students enrolled in the adoption law course. From 2005 until 2010, she served on the Board of Jeremiah’s Child, a foster-care ministry, as its Program Director, and from 2003 to 2009 she served on the Board of Directors of Mary’s Shelter, a maternity home for adoption-minded women out in Altamonte Springs, Florida until its closing in 2009. In 2005, Mari became a member of the Florida Adoption Council (FAC) and served as a Director at Large from 2008-2011. She also chaired the FAC Annual Conference Committee from 2007 through 2011, planning advanced level adoption training for adoption practitioners statewide. In her free time, Mari enjoys reading and weekend getaways. One of her passions is the prevention of animal cruelty, and she strongly advocates for pet adoptions through rescue organizations or no-kill shelters. Mari is dedicated to serving the community by offering quality, nonlawyer document preparation and procedural assistance at an affordable price. John Bayne is a Florida native born in New Smyrna Beach, and he has lived in Volusia County all of his life. He attended Daytona State College where he studied music and Criminal Justice. John served as a Radioteletype Communications Specialist in the Florida Army National Guard for six years and was honorably discharged as a non-commissioned officer. John is a licensed pilot and has served as a Senior Incident Commander for the Florida Wing of the Civil Air Patrol, where he was responsible for supervising search and rescue operations across Florida. John recently retired as a Police Sergeant from the City of Ormond Beach Police Department after thirty years of faithful service to the community. During this time, he held positions as a Homicide and Persons Crimes Investigator, where he closely worked with FDLE, the State Attorney’s Office, and other law enforcement agencies, 911 Communications Center Supervisor, Accreditation Manager, and Patrol Supervisor. John also spent a year attached to the DEA in Orlando, Florida as a Task Force Agent. His passion for community service and law enforcement background makes him uniquely qualified to the further the mission of Florida Document Specialists (“FDS”). He is the President and Chief Financial Officer for FDS and works tirelessly to insure that we are always ready and able to help Florida residents with their legal document preparation needs. He meticulously developed and implemented the procedures and standards that make accessibility, service and affordability the backbone of our company. John is also a duly commissioned Florida Notary Public. During his free time, John enjoys riding his motorcycle, fishing, and running his eBay business. He is also a licensed ham radio operator and participates in international amateur radio competitions. He also volunteers his time as a member of a local Community Emergency Response Team (CERT).